iCliniq › Ask a doctor online › Answers › Psychiatry › Fluoxetine › I am back to depression and anxiety even after hiking Fluoxetine dose. Please help. Q. I am back to depression and anxiety even after hiking Fluoxetine dose. Please help. I am currently on 40 mg of Fluoxetine. For the past four days, I was put up from 30 mg to 40 mg as my 20 mg stopped working after three years. While on the 30 mg, my symptoms got better for a couple weeks and then I went back down to where I was, in the beginning, feeling extremely depressed, anxious and completely awful. I was wondering why this happened? • Can Fluoxetine cause disturbed sleep? • Will having Fluoxetine with Venlafaxine lift depression? Fluoxetine 20 mg OD is the usual dose prescribed in managing depression and anxiety. Sometimes Fluoxetine dose needs to be increased to 40 mg OD if the previous dose is no longer effective. You have been on 40 mg for the past four days. You may be aware that you need to wait for at least 2 to 4 weeks to see the maximum therapeutic response. 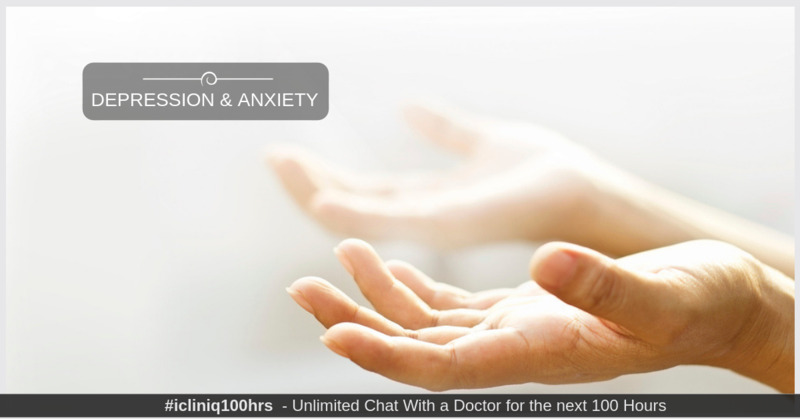 In addition to medication, you will benefit from counseling, CBT to manage your emotional difficulties. Discuss with your GP, CMHT in case you have not had taking therapy before. Try to exercise daily. Even brisk walking outdoors for 30 minutes daily can help to improve your mood and lower anxiety. In case, if you do not get better even on Fluoxetine 40 mg OD. Kindly consult with your doctor. You may need a reassessment of your symptoms and sometimes alternative SSRI needs to be considered.